Time to catch up with another edition of everyday big rigs with a colorful selection of Volvo VNL’s. I’ve said it before and I’ll say it again, and again, and again, modern trucks can look okay if they come in a color other than white! The model you see below is the VNL 780 high-roof sleeper. 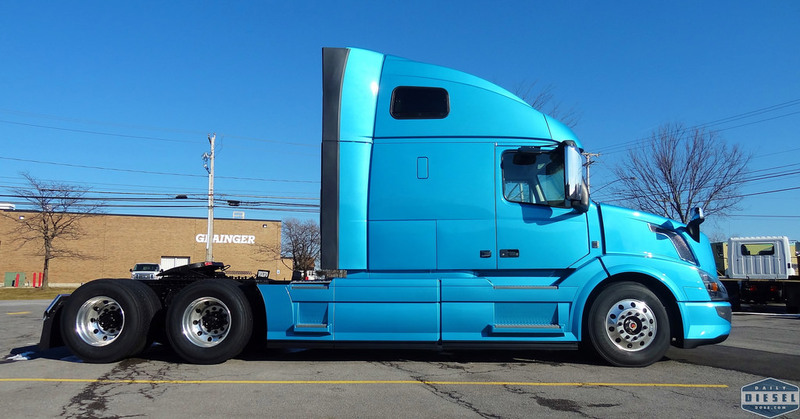 In the world of Volvo OTR trucks the 780 is the top of the line model. This particular model is working with the Volvo D13 engine which is capable of producing 500 HP and 1850 lb-ft of torque. The next time you are driving and you feel the need to stay awake count how many of these you see on the road. If you combine this model with the Freightliner Cascadia you’ll never stop counting. Warning! It’s much like counting sheep so drowsiness is possible. Below, another sharp color for Janco LTD, a company specializing in the transport of entertainment equipment for concerts and musicals. The Prius bar up front is a nice touch. 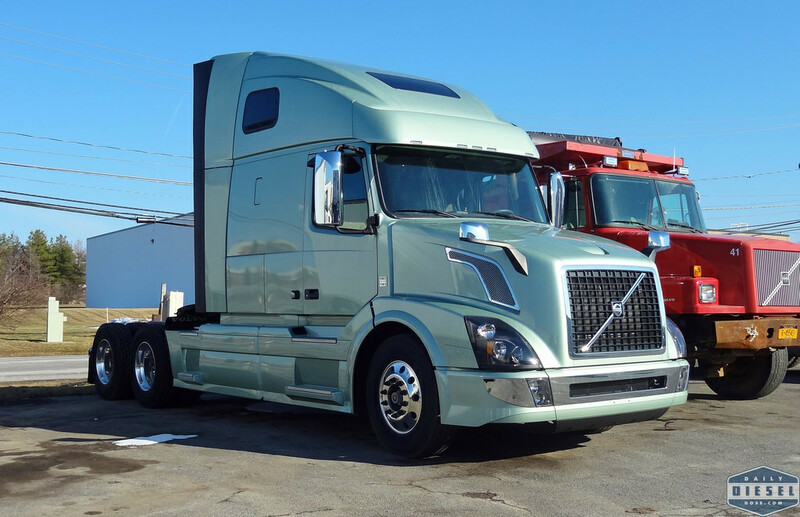 The Volvo VNL, along with all Volvo North American trucks, are manufactured in Dublin, Virginia at the New River Valley plant. Engine assembly takes place in Hagerstown, Maryland, the very same factory that also produces Mack Engines. This entry was posted in At the Dealer, On the Job and tagged beam mack, volvo trucks usa, volvo vnl. Bookmark the permalink.